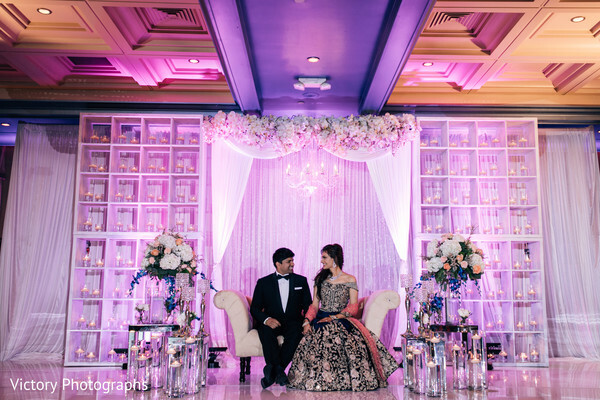 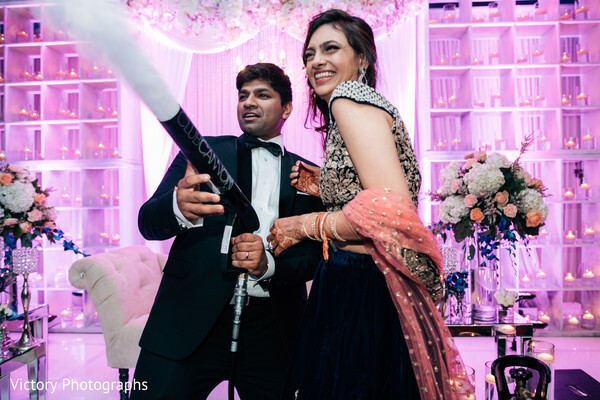 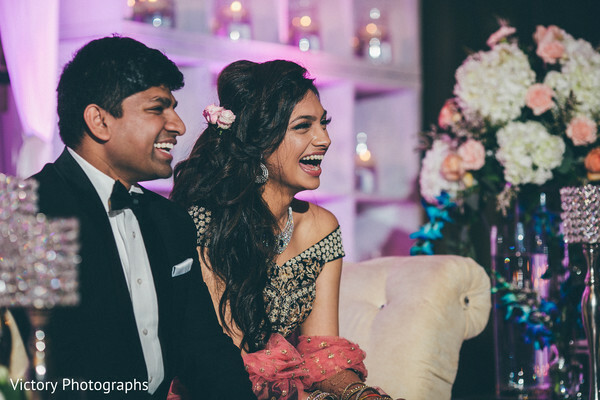 Today's featured editorial is sprinkled with a little more sparkle with Maharani Deepika's self-planned Indian wedding full of pomp and flair! 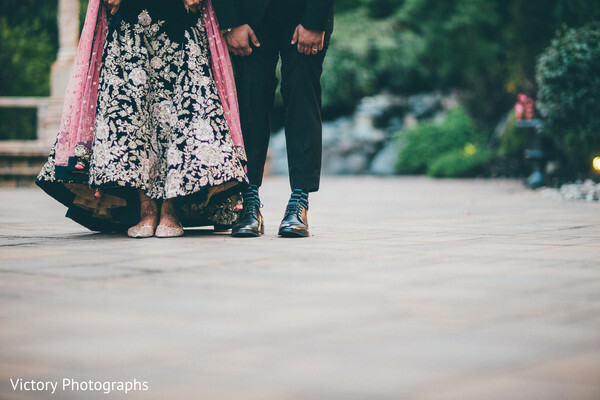 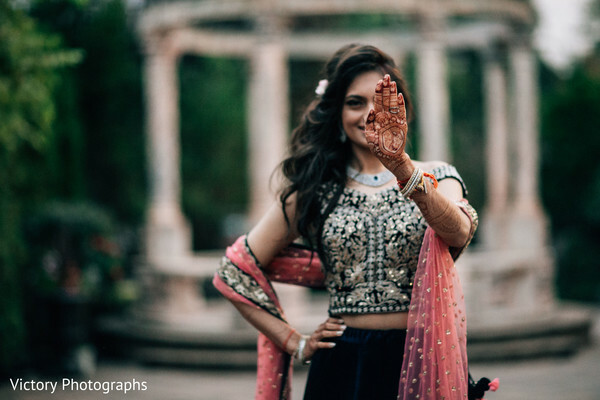 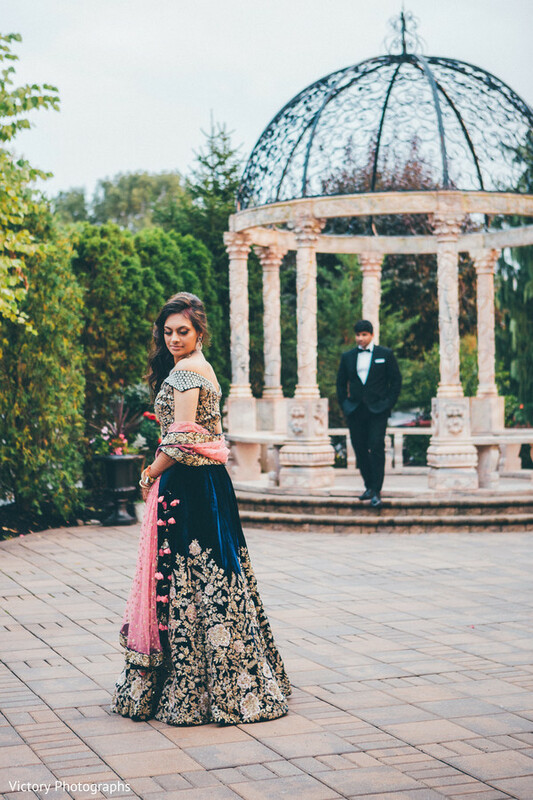 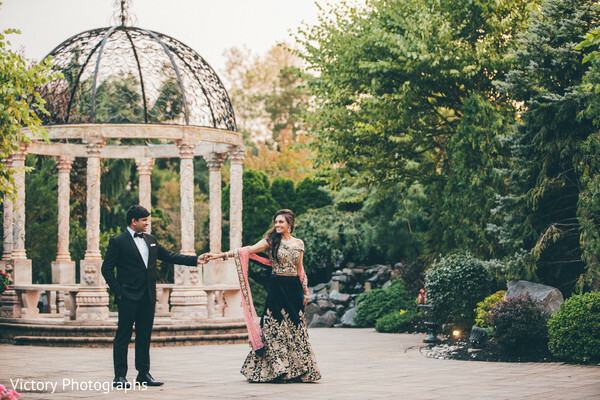 This jaw-dropping Indian wedding is full of Instagram worthy moments and I cannot wait to lift the veil on all the details. 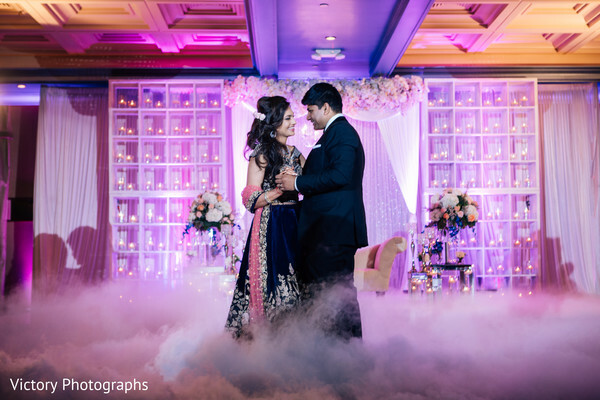 Wedding Design reimagined the spacious quarters with refined elegance, bursting with vibrant colors and whimsical lighting by AmpliFIRE Entertainment. 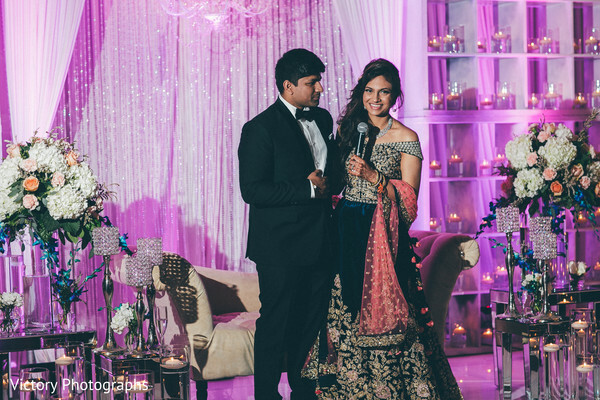 For her grand finale, Deepika slipped into a beautifully crafted, sleek silhouette lengha that added feminine flair to her glowing makeup by Payal MUA. 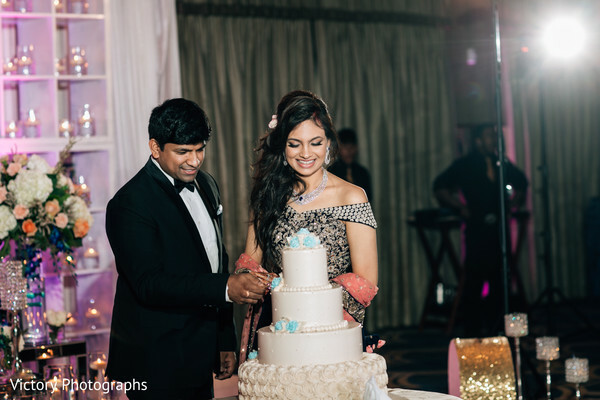 Palermo's Custom Cakes & Bakery whipped up a marvelous wedding cake while AmpliFIRE Entertainment churned up the turntables for a nonstop night of dancing. 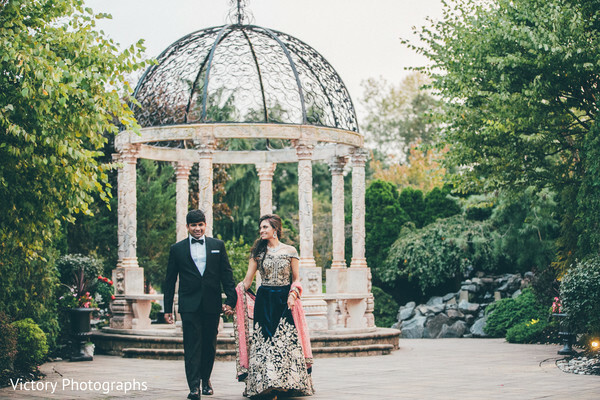 Every piece of this Indian wedding was captured with pure ethnic essence by Victory Photographs and the proof is truly in the gallery!